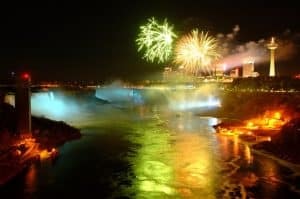 Most hotels offer package deals of various shapes and sizes, and for your next visit to Niagara Falls, the the Sheraton on the Falls offers a number of packages that are so varied they appeal to everyone from families to couples and those that fall in between. Packages are a great way to save money and combine specific activities with your stay in a luxurious room. Sheraton on the Falls has some of the most comprehensive hotel package stays in the region, so when you plan your vacation to Niagara Falls take a look at some of our packages and choose one that will not only enhance your stay but save you time and money as well. In many ways, Niagara Falls is made for couples and Sheraton on the Falls is the hotel that does couples packages best. No detail or amenity is left out of this one-night package and a one night’s stay includes gift cards for use at the fine dining eateries Massimo’s Italian Fallsview Restaurant, Prime Steakhouse Niagara Falls, and the sumptuous selection at the Fallsview Buffet. This package also includes two passes for a wine tasting at Inniskillin and Jackson-Triggs wineries and a credit to be used at the luxurious Christienne Fallsview Spa. Also, if you wish, you can enjoy two free cocktails at the Hard Rock Cafe or Niagara Vines Wine Bar. For families with kids or for anyone who loves to play in the water, the Family Waterpark Package is the best way to combine your hotel stay with great waterpark fun. Available for either one or two nights, the waterpark package is based around an experience for four guests with four Fallsview Indoor Waterpark tickets included. Two additional waterpark tickets can be purchased if needed. Children younger than 2 years can enter the waterpark free of charge. The best thing about this package is that it’s not limited to the summer months. Fallsview Indoor Waterpark is located indoors and is the perfect temperature no matter what the outside weather is like. What could be better than spending New Year’s Eve in Niagara Falls? Spending New Year’s Eve at the Sheraton on the Falls and taking advantage of our holiday package! 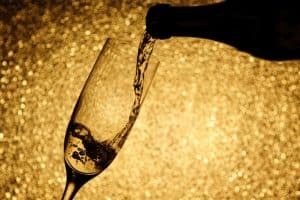 This one night package stay includes entrance to a lavish and exclusive gala, a wide array of delicious foods to sample throughout the night and a complimentary glass of bubbly as the clock strikes midnight. Finish off the evening with dancing and a spectacular fireworks show and celebrate the holiday in extravagant style. Packages are always a great idea when traveling for vacation as they really allow you to relax a bit more and let the hotel’s staff take care of many of the arrangements. This leaves more time to spend as a couple or family, and celebrate a special occasion. Visit the Sheraton on the Falls website to learn more about these and other great packages you and your family can enjoy.